Now red, and now of greenish hue. It hovers, flutters, resting ne’er! But hush! it settles on the mead. I have it safe now, I declare! Such, Joy-Dissector, is thy case indeed. 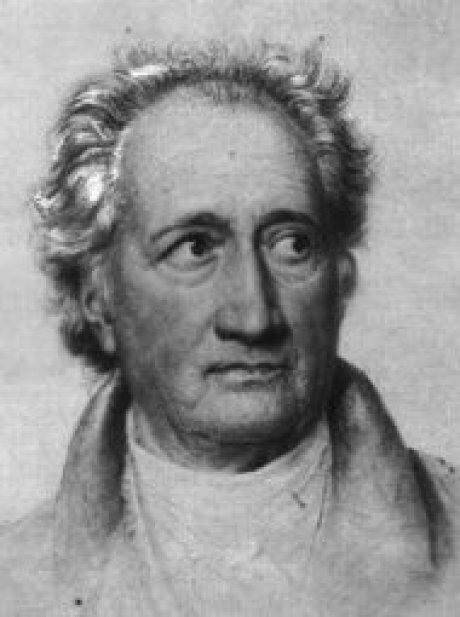 Johann Wolfgang von Goethe (1749 – 1832) was a German poet, playwright, novelist, artist, lawyer, philosopher, and scientist whose ideas and accomplishments have been a major source of influence and inspiration for generations. Johann’s first love was drawing and his second love was literature, but his talents extended to scientific, mathmatical, and philosophical realms as well. His novel, The Sorrows of Young Werther, is considered the world’s first "bestseller," though his subsequent work, Faust, is the better known today. Thank you Jayne, for introducing me to Goethe's poetry. The language play comes acrosss even in translation, making me want to study German. Here's a quote from his Wiki bio that poets might enjoy: "Goethe studied law in Leipzig from 1765 to 1768. He detested learning age-old judicial rules by heart, preferring instead to attend the poetry lessons of Christian FÃ¼rchtegott Gellert."